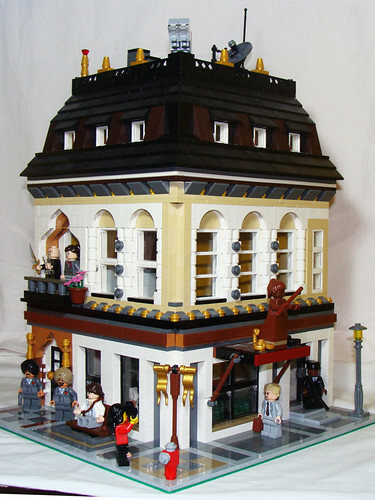 Brick Town Talk: Persian Corner - LEGO Town, Architecture, Building Tips, Inspiration Ideas, and more! Persian Corner, originally uploaded by elkapitan1. Here we go! The Prince of Persia pieces are flowing into Cafe Corner models. At first glance I thought the same builder from our previous post made this, but no. Another builder has taken advantage of the new arches and colors to make this masterpiece. Great job on this!